In your Simple Inked account you can report on when your clients were created. 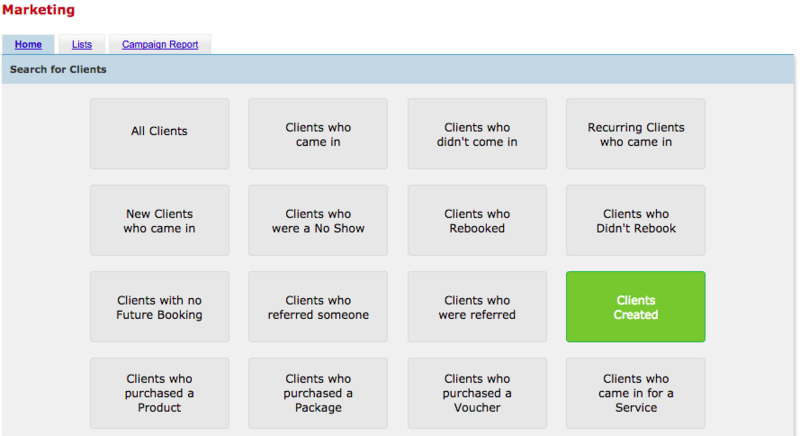 Go to your Marketing page, and click the Clients Created option. On the right side panel select your date range to see who was created during this time and click Search. Here are your clients who were created between these dates. As with all your Marketing options, you can send these clients an SMS or Email via the options at the top of the report. Of course, you can Export or Print the report, or even Add To List to start customising your own client lists. Check out the Customising your Marketing Lists - Adding & Removing clients article for more info on how to use the Add To List/Remove From List options. This is just one of many ways to target market specific groups of clients, using your studio data, in your Simple Inked account. Feel free to send us any questions via the Submit a Request option in your Help & Support page.